Why Pay Full Retail Ever Again? Buy Direct from the Manufacturer. 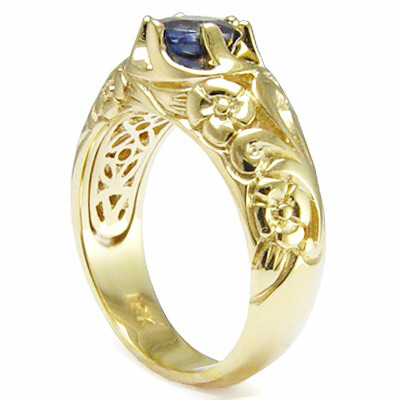 A magnificent 18k Solid Yellow Gold ROCOCO design European Style hand-made ring, round cut, genuine 6.5mm, 1.45ct blue sapphire is a substantial ring. Rococo is derived from the French word rocaille, originally meaning the bits of rocky decoration sometimes found in 16th-century architectural schemes. 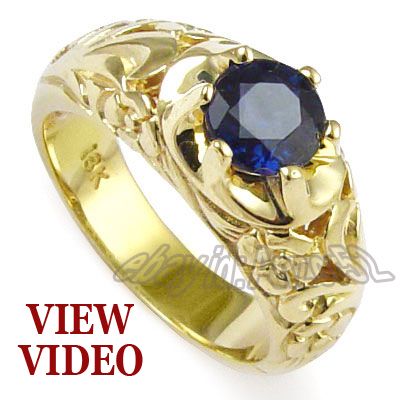 This will make a distinct impression on your hand. 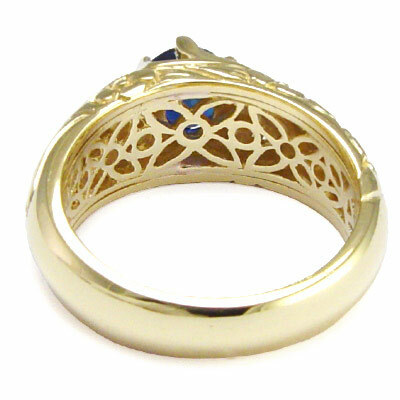 NOTE: Each ring is made to order so your size will be the rings original. 1/4 and 1/2 sizes are available. 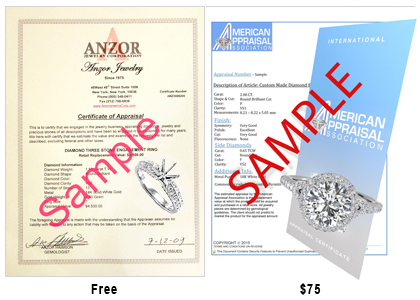 Please specify your ring size at checkout. Choose White, Yellow, or Rose Gold, No extra charge. Also available in Platinum, please ask for a price quote. Sizes available: 7 to 14 in full, half & quarter sizes. shipped within 2-3 business days of funds clearance. in size 10. 12.30 gr. 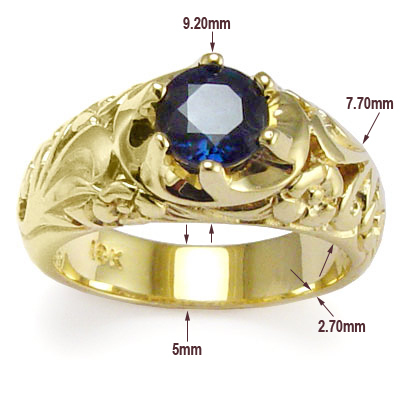 6.70 mm Sapphire - 1.45ct.